Treasury Secretary Steve Mnuchin gave a background briefing on the financial services Executive Order and Memorandums Friday that Trump is signing later today. 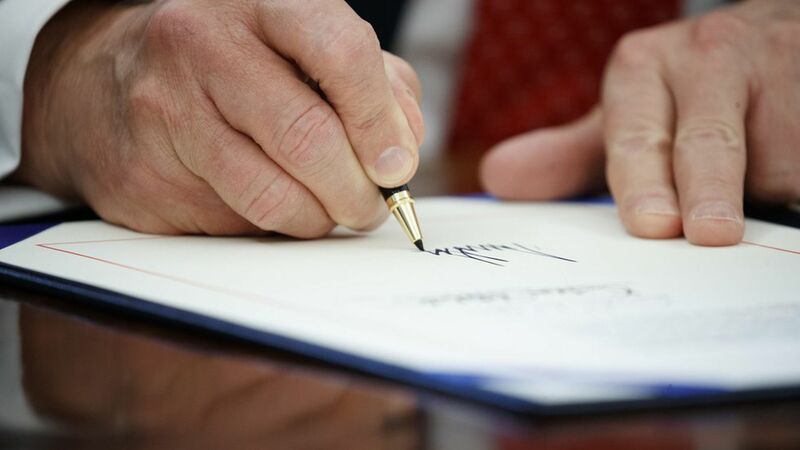 Tax executive order: The Treasury will review all of the tax regulations going back to the start of 2016, and will cut any regulations that are detrimental to U.S. businesses. The priority is making U.S. corporations more competitive and creating incentives that will deter them from moving abroad. Mnuchin also emphasized that Trump will soon be working with Congress on a comprehensive tax reform package. Memorandums: The two memorandums encompass "all of the aspects of Dodd-Frank, but go much further," said Mnuchin.